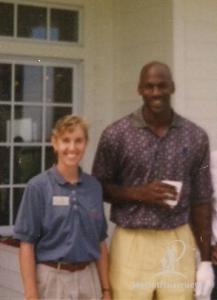 Hanging with Michael back in the Michael Jordan Golf Center days. Jay Delsing (PGA & Champions Tour Player) goofing on the set of the Putting Principles DVD. With PGA Tour winner and fellow South Alabama Jaguar Heath Slocum at the BMW Championship in Chicago. Selfie with Alice Cooper( the Callaway man) backstage at his concert during the Caddy Shack radio show days. I swear my eye shadow wasn't really that dark! 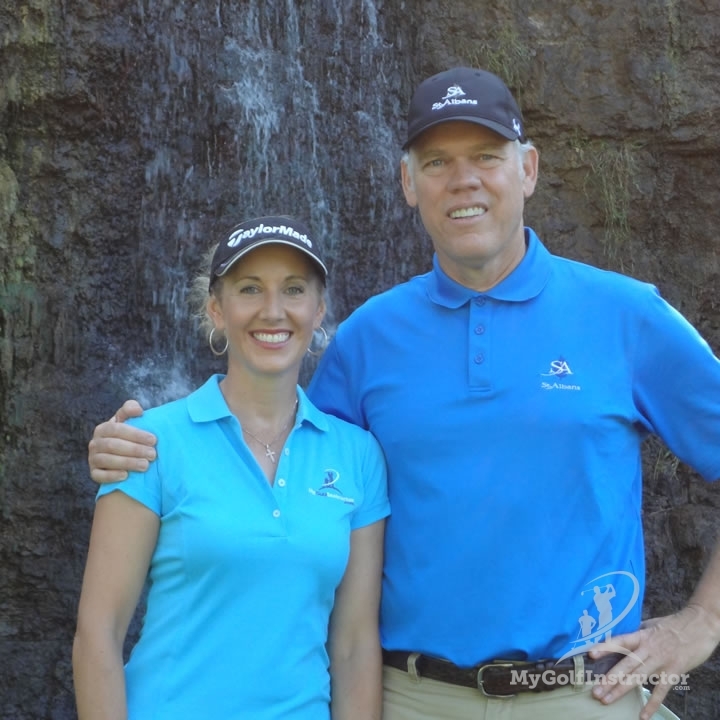 On the set of the Putting Principles video with PGA Tour Player and buddy Jay Delsing. Members of Maria's LPGA - USGA Girls Golf Club in Chicago meet with Hall of Famer Nancy Lopez at the Women's U. S. Open. Hall of Famer Patty Berg shaking hands with girls from Maria's Chicago USGA-LPGA Girls Golf Club. 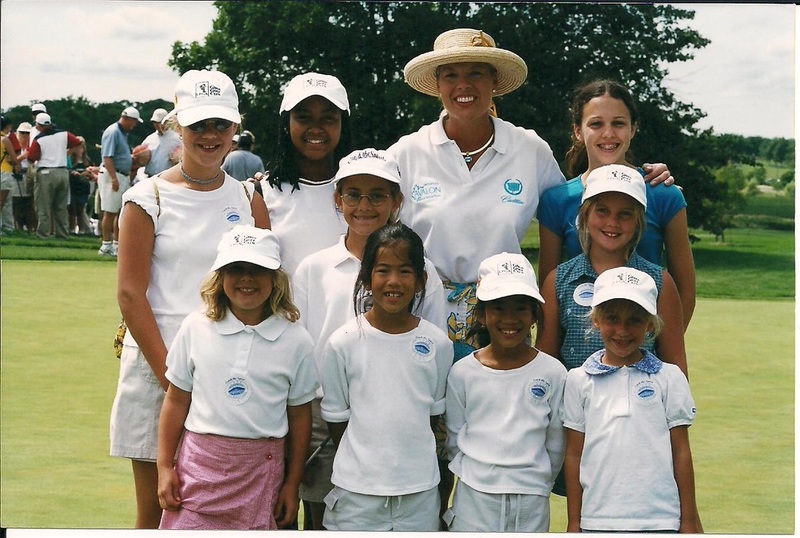 LPGA Great Michelle Mighan with girls from Maria's LPGA-USGA Chicago Girls Golf Program. On the set of Golf's MVP infomercial with teaching and playing greats Bob Toski and John Elliott Jr.
Maria with greats Gary Kock, John Elliott Jr. and Bob Toski on the set of the Golf's MVP infomercial. Maria getting coached by the Film Director on the set of the Golf's MVP information.